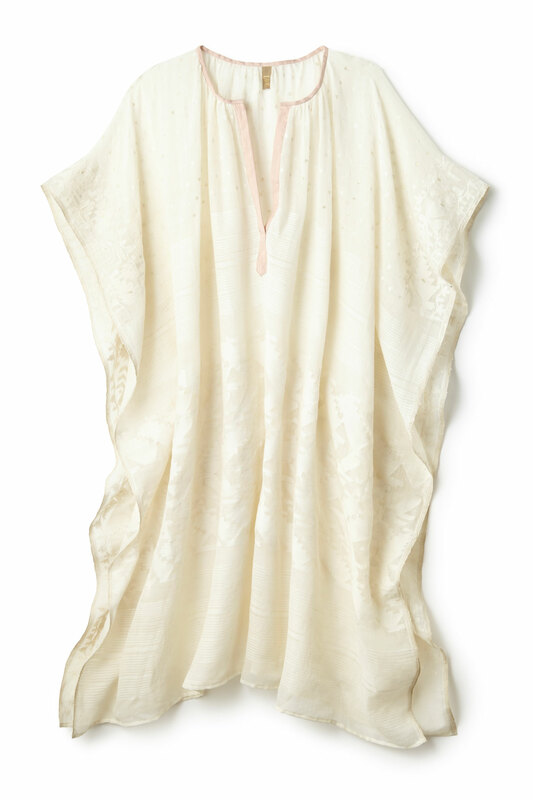 The Dhaka caftan features a deep V neck and intricate embroidery pattern in fine cotton. Handwoven using the traditional, time-intensive Jamdani weave method. Please note: This piece is handmade, designs and fabrication will vary from piece to piece. Care: Hand wash in cold water with gentle soap.